Happy Tuesday Stampers! Although Fall has officially began this past weekend, true Fall weather in Phoenix is still month away. 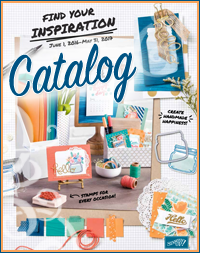 So let's escape the heat through paper crafts. What are you looking forward to the most with change in season? 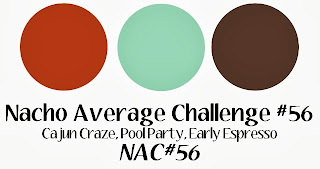 We have a new color challenge at Nacho Average Challenges starting today. I think it's perfect for a fall theme card, or at least that's what I chose to do. 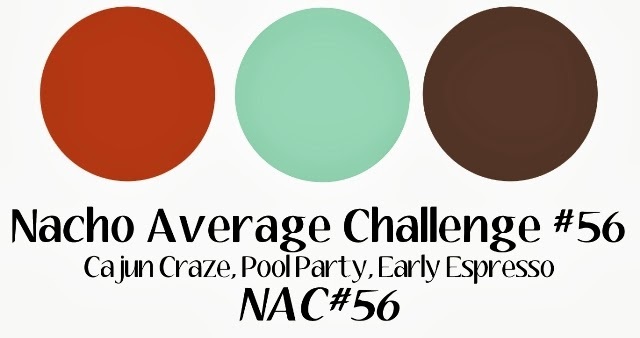 Hope you will play along with me and my fellow Nachos. 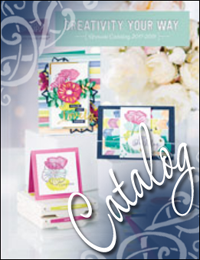 Come check us out for inspiration with the beautiful color combo. Can't wait to see what you create. Thanks for stopping by today. Love this card!! I love the little "flags" you created! Great job!! 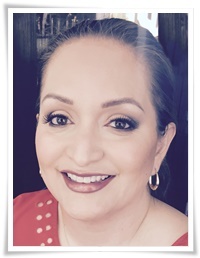 So happy to have you on our team!